I love meetings. Actually, let me clarify. I like creative, strategy-focused meetings like a brainstorm or its emo cousin, the Post-Mortem. Many people assume that post-mortems are only for one-off projects. Although they’re extremely important for projects with a clearly defined start and end date – think apps, web sites, infographics, etc. – they’re just as useful for ongoing marketing efforts. Post-mortems can keep the big picture in perspective with monthly, quarterly, or annual reviews. Obviously, having one every month is time-consuming, but a few hours every quarter is time well spent. 1. Have a post-mortem for every project, no matter how small or how big, no matter what the outcome. Even if a project is small, there are always things that pop up which will help you learn for larger projects. For example, let’s say that the project was delayed because of communication issues. This could lead to a delay of a few days for a small project. But in a massive project, this could delay you by months and more importantly, increase the cost by two-fold. Always a fun conversation with the CFO. Importantly, post-mortems should be held no matter how well a project went. Some tend to think that a post-mortem is all about what went wrong. Again, I prefer to think of it as “how’d we do and why?” I’ve never worked on a project that went perfectly. Likewise, I’ve never worked on a project that was a complete disaster. There is always something of value to learn. 2. Schedule the post-mortem directly after the project concludes. If you’re like me, project details evaporate from memory when the big push is finished. If a project goes well we lose sight of problems in light of a job well done. If a project goes poorly we lose sight of successes as we try to figure out what went wrong. 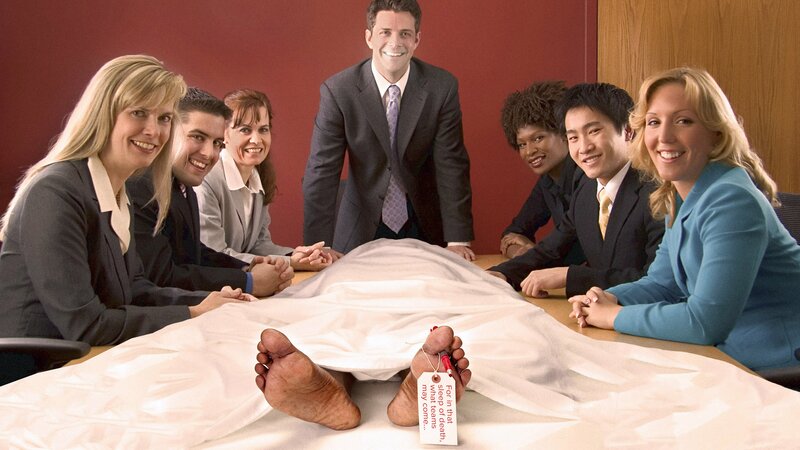 Have your post-mortem while details are still fresh. Bonus points for scheduling them in advance. 3. Set a constructive mindset. This is by far the most important tip on this list. A post-mortem is not about highlighting failures with the purpose of assigning blame. It’s not about reviewing employee performance. It’s about reviewing the work and the result for purposes of team and personal improvement. It needs to be constructive. Therefore, it’s important that your team is in the right mindset: positive and learning-focused, not defensive or hypercritical. The best way to do this is to start off the conversation with something positive. Generally, the more powerful or proud they feel, the more effectively they can process constructive criticism. As one of my team members always likes to say when things go wrong, “Well, nobody was killed, so…” Remind everyone that, no matter how embarrassing a gaffe, you can learn from it. Obviously, this doesn’t work if somebody did die, but no Portent project has killed anyone so far… so I’ve been told. Even a relaxed meeting needs an agenda. The last thing we want is a completely disorganized mess that leaves you an hour later with no idea of what you actually learned. Having an agenda will actually help with all of the tips I’ve spoken about so far. Set Tone / Explain Format (5 Min) – This is possibly the most critical, pivotal 5 minutes of the meeting. It’s where you remind the group that this post-mortem is all about constructive analysis. It’s your chance to guide the mindset of the group and hopefully get them to relax and feel safe enough for a truly productive session. Recap The Project (2 Min) – That’s it. You’ll give a synopsis of what the project was about and what the initial expectations were. This will let you focus on the measurable goals so you can objectively evaluate whether the project was a success. Recap The Outcome (3 Min) – Although there might be a difference of opinion on how everyone thought the process went, usually there’s a pretty straightforward idea on whether the goal was met. Was the client happy? (This could be a client in the literal sense, or it could be the CMO of your own company.) Did the cost exceed the budget? Was the product delivered on time? Are you proud of our finished deliverables? If yes, what made them great? If no, what was wrong or missing? Did we get the results we wanted and did it make impact? Which of our methods or processes worked particularly well? Which of our methods or processes were difficult or frustrating to use? How would you do things differently next time to avoid this frustration? What else could we do better next time? What was the most gratifying or professionally satisfying part of the project? Wrap-Up (10 Min) – This is where you thank everyone for participating and let them know that notes will be coming soon. Admittedly, it can be really challenging to keep to this agenda on the fly, but the last thing you want to do is stop the conversation from flowing organically. Most times, the conversation will jump naturally from one question to the next. The important part is that you make sure each of the answers is a conversation and everyone is able to address them. 5. Send out a questionnaire to all the participants prior to the meeting. An agenda is extremely important, but it’ll be hard to stick to your timetable if the participants aren’t prepared themselves having thought about all the questions you plan to cover. If they haven’t already though through the questions, I guarantee you if you ask them what methods or processes worked well, you’ll get at least 10-20 seconds of blank stares. This is productive for two reasons. First, you’ll more likely get better answers. It’s hard to come up with something on the spot that has substance. Secondly, when somebody finally feels like they have a good answer, nobody else will listen to them because they’re busy trying to think of a good answer themselves. So, along with a simple agenda, make sure that you send all the participants a list of questions that they should think about prior to the meeting. It’s best if you give them plenty of time to get this done so it’s not a last minute dash right before the post-mortem. Along with an agenda, there must be one person responsible for moderating the meeting. This is generally the same person that set the agenda and scheduled the post-mortem. Having a moderator not only creates bumper rails for the conversation, but allows all the other team members the freedom to speak their mind without worrying excessively about the structure or process. A good moderator will give the right amount of leeway for the conversation to tackle a tangent before reigning it back in. The moderator should also be the one to take notes. I recommend using a white board. That allows team members to stay engaged, rather than frantically scribbling notes. As I mentioned earlier, I love creative strategy meetings. They tend to be more relaxed and therefore more fun. Dreaded, high-tension post-mortems kill creativity and seal your team into their personal shells. That kind of meeting is as productive as a team-wide nap time. You’re uncovering uncomfortable stuff much of the time. Deliberately promote a relaxed environment. If it’s early in the morning, bring coffee and donuts. If it’s later in the day, bring beer and well… donuts. Always bring donuts. The goal of a post-mortem is a deep dive into the project and learning as a team. By surfacing the perspectives of everyone in the group – many of whom are often more in the weeds – they let us uncover issues at a micro-level that add up to a seriously macro impact. If only a few team members are speaking up, be sure and ask the others what thoughts they have. Sometimes it only takes a small amount of prodding before people feel comfortable talking. 9. Leave the laptops behind. Even the most productive post-mortem is no good unless there are clear, actionable takeaways. “Do better” is a noble takeaway indeed, but how do you act on that next time? You need specific to-dos the team can remember in the heat of the next project. In our previous example, if communication was the problem, perhaps the actionable takeaway is to set more regular, in-person check-ins. Actionable takeaways set clear expectations. The team can hold each other accountable for implementing them on the next project. Nothing groundbreaking here. The last important tip is to share the post-mortem takeaways with anybody who might benefit from your newly-found pearls of wisdom. This definitely includes your post-mortem attendees. But spend the time to identify others in your company who deal with the same challenges. While some of these tips are bit more rigid than others, the most important thing to remember is to keep the nature of the post-mortem light, yet still productive and impactful. If you succeed, you’ll watch your team take away immensely valuable insights that’ll make the next project even better. Or if this is all just too much, just be sure and call it a Super Post-Mortem Extravaganza. And bring donuts. The post 10 Tips for a Successful Post-Mortem appeared first on Portent. Previous PostPrevious Do you have a marketing problem?